This is an article which I wrote for the Indian Journal of Medical Ethics. This was a comment on the paper, Daniel Strech. The introduction of the Internet has already changed the way most of us find information, make phone calls overseas, keep up with the news, stay in contact with our friends, book airline tickets, etc. It has already had a major impact on the doctor-patient relationship in the United States, and it is just a matter of time before it plays an equally important role in the lives of Indian doctors and patients. While the technology has many benefits, it creates conflicts as well, because it gives patients a much bigger say in their own medical care – a concept most doctors feel threatened by, because it is so unfamiliar and new. One of the controversial areas is the sprouting of physician rating sites, which allow patients to rate, comment on, and discuss doctors’ performance online, visible to everyone. This can be a mixed blessing, especially when patients are not happy with their doctors and use these rating sites as a platform to vent their frustrations. In theory, the availability of information about the quality and competence of physicians (as assessed subjectively by their patients) can help patients stay away from bad doctors, thus helping them to get better medical care and enhancing patient welfare. The provision of online doctors’ report cards encourages transparency of medical performance, and this could also result in greater public trust in the healthcare system. While discussing the principle of welfare, the authors remind us that we also need to consider the impact of these sites on physicians’ well-being. While the majority of reviews of these sites appear to be positive, negative reviews can cause both psychological and financial harm to the doctors concerned. Physician rating sites also encourage patient autonomy, because they empower patients with information. The authors look at this benefit through the interesting prism of improving the patient’s health literacy at three different levels: functional, interactive and critical. The most interesting question these sites raise is: do they provide reliable and useful information? Or is it possible to game these sites, as a result of which the ratings can no longer be trusted? Can doctors manipulate them by requesting their happy patients to provide positive reviews? Or can disgruntled patients ruin a doctor’s online digital reputation by posting negative, biased and dishonest reviews about him/her on multiple sites? How can patients trust the information that these rating sites provide? And what can doctors do when they encounter negative ratings which they feel are unfair and biased? Patients have always had opinions about their doctors; after all, this is how a doctor’s reputation develops. Traditionally, this was by word of mouth, a slow process, and it could take a doctor a lifetime to build a reputation. 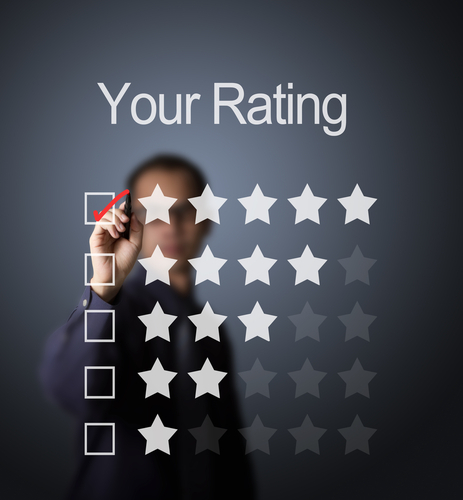 Physician rating sites have accelerated this process dramatically. However, while many patients will swear by their doctor, there will be others who will swear at them. While it is all very well to take the moral high ground when talking about the right of patients to freely express their opinion about a doctor, I can vouch from personal experience for the fact that negative reviews can raise one’s hackles quickly. While some such reviews may be well-deserved, others are unfair because they have obviously been penned by disgruntled patients, venting their bile. Others may even be planted by the competition. The good news is that these doctor rating sites can actually help doctors to become more patient-centric. Hopefully, we will start treating our patients better, because we know they can harm our reputation by going online and posting negative reviews. Doctors should read the patient feedback stories at doctor rating sites to educate themselves as to what patients want from their doctors. The good news is that what patients want from their physicians is not all that different from what good physicians want to offer their patients. Patients are generally not unreasonable, high-maintenance consumers; they simply want doctors who care, listen, and know what they are doing. By reading the positive ratings, doctors will have role models of good physicians to emulate, and by reading the negative ratings, they will learn what to avoid. Smart people learn from the mistakes of others, and we can learn a lot about what a medical encounter feels like from the patient’s perspective by browsing through these websites. They will help us become more empathetic doctors if we are mature enough not to take the negative ratings too personally.